English learning advice from Aviation English Asia. 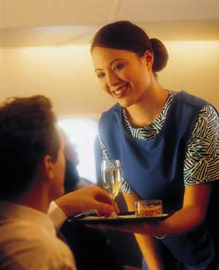 A look at grammar and beyond to help communicate with the English-speaking passenger Written by Michael McBride In this article, specifically for cabin crew, you will learn different ways to communicate offers of service to passengers (food/drinks etc), dealing with formality/informality and different verb uses. 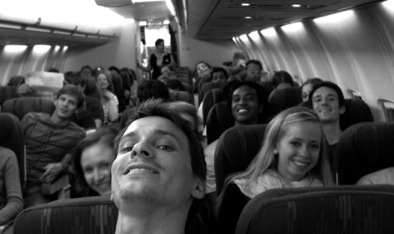 Also, you will be able to practice using video/image excerpts and advice for your future cabin crew English training. Can I get you a drink? Here you go, thanks. Could I help/assist you with your bags, sir/madam? Would you like me to help you with that? Could I offer you a drink, sir/madam? Here you go/are, thank you. Modal verbs (can, could, would, should etc) will be very useful for your cabin language repertoire and they are easy to use because the form is always modal + verb infinitive. You can change them to suit context and register and the degree of something, for example, “should” is a stronger suggestive modal than “could”. Also notice that the verb infinitive can also be made more formal and courteous, for example, get -> offer. It would be useful to have a range of both register forms depending on your airline’s needs. Your instructor at Aviation English Asia will help you develop and understand these verb forms further. What part of the flight could it be? What do you think the cabin attendant is saying? What do you think the passenger is saying before and afterwards? Who else could be involved in the communication? In the first class cabin, the passenger is trying to open up their flatbed. For further training you need to first evaluate your English skills. 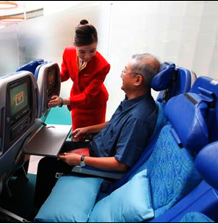 However, if you can understand a lot of this article you are probably an intermediate user so “In-Flight English” with Aviation English Asia is a good choice for you. The course allows you to improve your English while at the same time exploring and debating incidents that can affect cabin crew members. You will go beyond grammar forms by putting language into context and practicing the English skills needed to become a cabin attendant. There are also options for you to gain certification for your language ability from Cambridge ESOL, which will help you gain new positions or enhance your current position. For feedback and more information about Aviation English Asia’s courses please visit http://aviationenglish.com. If you haven’t already please join the Aviation English mailing list for special offers and details of courses in your area. English learning advice from Aviation English Asia. A look at different passenger profiles and language functions to resolve problems on-board. Written by Michael McBride In this article, we will focus on problematic situations that can occur during flight. 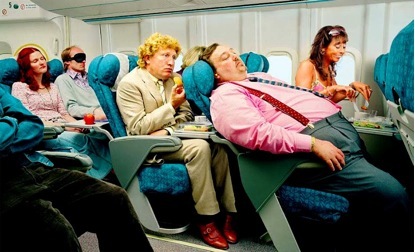 This could involve dealing with intoxicated passengers or uncooperative people in the air. We will look at different questions to consider when faced with a difficult situation, suitable grammar forms and you will also have the chance to practise using visual examples. As a member of cabin crew on a commercial airline you will come across a large mix of people from all backgrounds and cultures. Although there are many stereotypes in society, it may be useful to be aware of them for quick and efficient handling of passengers. A stereotype is a cultural and social expectation that may not be wholly true and accurate but exists in society and we cannot avoid them. Why do you think they are complaining or not co-operating? How will you resolve the situation? With your trainer at Aviation English Asia you will work on adapting language to specific contexts and types of passenger, but now let’s focus on grammar and vocabulary in a more general approach for difficult passengers. After considering the problem at hand e.g. a passenger is complaining about their meal, and evaluating the situation consider your language. It is advisable to not use overly direct and plain language. Using formal verbs like “reject” and “decline” could create more tension and escalate the problem. Use of apologetic language may soften the situation, look at the following and consider which is more effective? Sir, you may like to try this meal instead. Madam, would you like to try this option? You could try this meal instead, sir. Keep it simple and use the present simple or progressive tenses e.g. he is not moving from his seat. Using stronger tone and stress will show your English speaking supervisor the situation is more important compared to if you use a lighter tone. Think of the importance of the problem. Practice – context and language. Context. What type of passengers? Predict. What could be potential problems? Communicate. What language will you use? Looking at the body language and gesturing of the male passenger there could be a problem with his meal. Did he order it? Is there a problem with what is on the plate? Also consider his age and background. Situation 3 Credit: unknown 1 Context. What type of passengers? 2 Predict. What could be potential problems? 3 Communicate. What language will you use? A number of situations could be predicated here, from complaining to even an argument between passengers. How would you handle the situation, would you need more help from a supervisor? Exercise: Think of some more situations and consider what you would say. What could happen next, will you need a supervisor? How would you speak to the supervisor, how would you describe the passenger? English learning advice from Aviation English Asia. A look at grammar and beyond to help flight attendants communicate with English-speaking passengers. 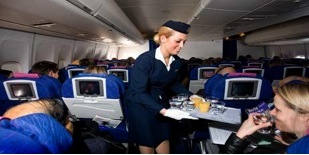 Written by Michael McBride In this article, focussed on cabin crew English, we will examine language for making suggestions and advice to passengers on board. A flight attendant will be expected to have information about the origin and destination and to give information clearly and thoughtfully. We will look at grammar, examples, vocabulary and you will be able to practise with a visual scenario and a quiz at the end. It is important to keep advice simple and clear. Modal verbs will be particularly useful. “You should visit the Tower of London. You must visit Harrod's department store. It's an essential destination for every visitor to London. You can also use regular verbs to offer information. These verb constructions possibly give more authority and formality, particularly with business passengers. Suggest and recommend are again slightly different - recommend is only used when you have had personal experience of something. Remember you will probably be busy and have other important tasks, so keep it simple and clear. To offer more information use the linker because plus it is + adjective/phrases. ….because it is beautiful and well known. If you do have time, you could ask short closed questions to show interest with the passenger and to make them feel more comfortable. 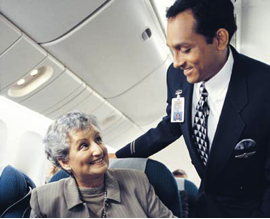 Giving advice to passengers after they have asked you a question requires a friendly, approachable attitude. 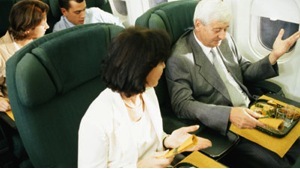 Even if you are busy you need to show you are happy to speak to the passenger with good body language and posturing. If you have nothing in your hand keep hands open and if the passenger is seated try and make full eye contact. You may consider changing your posture, eg bending downwards so they are not looking directly up at you. Gesturing involves your hands while you speak. When giving information it shows more confidence if you keep hands apart and move them from time to time. Picture scenario Now look at the picture below, imagine the passenger is asking the flight attendant for information about what to do in London. What questions do you think the passenger will ask? [caption id="attachment_181" align="aligncenter" width="270" caption="How would you answer her questions in English?"] [/caption] Now study the picture and describe everything you see including: - (a) What are the names of the objects? (b) What expressions (use adjectives) can you see on their faces? (c) What body language and gestures are being used? What to do next For feedback and more information about Aviation English Asia’s cabin crew courses please visit http://aviationenglish.com. We can help you improve your English whether you are an experienced pilot, a cadet entry pilot, a controller, engineer or flight attendant, with custom courses designed specifically for your needs. If you haven’t already please join the Aviation English mailing list for instant access to free demonstration units of the ICAO Aviation English Online course, special offers and details of courses in your area. Strong English communication skills are important for flight attendants, regardless of their native language and the stage of their career. Unfortunately many airlines offer very little ongoing English training for their staff. Greater proficiency in English, together with cultural sensitivity can help prevent difficult (and potentially dangerous) situations. In this article we are going to look at some of the language that can be used when dealing with drunk and abusive passengers. Hysteria erupted when a drunk Canadian, heading home after visiting Cuba, threatened to shoot flight attendants with a handgun after they stopped serving him drinks. 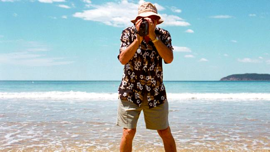 Police said the man started causing trouble about midway between Varadero, Cuba and Windsor. A flight attendant told the inebriated passenger he wasn’t allowed to have any more booze. “He was cut off from further alcohol consumption as a result of his behaviour, which essentially catapulted him in terms of his aggression. The police sergeant said the man became “unruly” and made derogatory sexual comments to flight attendants. He then made a threat to one of the stewardesses with respect to shooting them with a 9 mm handgun. The pilot, co-pilot and in-flight services manager were informed of the situation. The pilot radioed ahead for police aid. When the plane landed at 6:50 p.m., officers were waiting for him. The 58-year-old man is now facing a charge of uttering death threats. Where was the problematic passenger from? What did he say to cabin crew? What happened when the plane landed? Vocabulary Find synonyms for the following words in the article above: alcoholic drinks / offensive / assistance / violence / intoxicated / disorderly / chaos You should be able to guess their meaning from context, but if not you can also find the answers on the Facebook Page Discussion Forum. For feedback and more information about Aviation English Asia’s courses please visit http://aviationenglish.com. We can help you improve your English whether you are an experienced pilot, a cadet entry pilot, a controller, aerospace engineer or flight attendant, with custom courses designed specifically for your needs. If you haven’t already please join the Aviation English mailing list for instant access to free demonstration units of the ICAO Aviation English Online course, special offers and details of courses in your area. Of course, feel free to leave a comment or even a suggestion for a future article. We value all of your feedback.